Merrion Men 1XI start their title defense at home to Terenure on Saturday the 20th of April, under the captaincy of John Anderson. This will be John's second spell as captain having previously being in charge for the Irish Cup win in 2010. 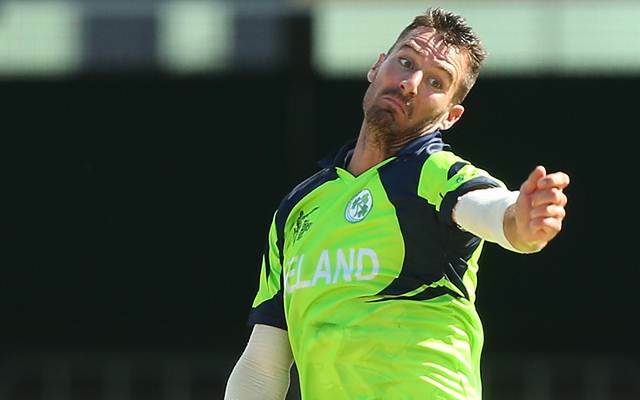 Merrion are delighted to welcome our first New Zealand overseas professional. Ollie Newton is a dynamic bowling all rounder from Wellington Firebirds, fresh off a barnstorming Burger King Super Smash and Ford Trophy season. He is delighted to be joining Merrion and is looking forward to the new adventure. Max Sorensen has also joined Merrion in the off-season and the club are excited about his arrival. Max, a former Irish International, is a proven performer and he’s made an immediate impact during pre season settling in seamlessly. All home games will be live streamed once again. The live streaming system is up and running with a great deal of hard work going into each production by volunteers. If anyone has an interest with helping out in these productions you can contact Tom Stanton. Live-streaming allow us to give overseas members and those not at the ground on match day a chance to follow our matches and also produce highlights packages for people to watch if they miss the action. It will also be used as a coaching aid for our coaches so it is a great asset to us as a club. "As you can see 2019 promises to be an exciting season for the Club. I would like to wishll of our teams and members an enjoyable and successful season. I would also like to thank all of our Club volunteers for your efforts in getting things ready for the coming year. I hope to see you all at Anglesea Road soon".